PERFECTLY PRECISE â€“ The sharp surgical-grade, stainless steel pushers provide a smooth, fuss-free experience. 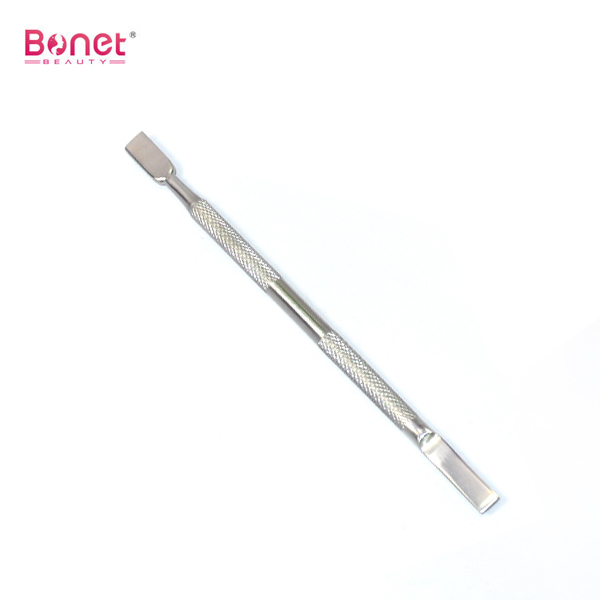 They are perfect for pushing skin, scraping glue off the nail plate, removing pterygium and cleaning under nails. ELEGANTLY ERGONOMIC â€“ The sleek ergonomic dual-use design is enhanced by a shiny chrome-silver finish and a serated non-slip grip, offering comfort and pleasure at every use.